HBO has released a new Game of Thrones trailer, giving viewers a peek at what might unfold during the show's eighth and final season. The one minute clip, titled Aftermath, was unveiled on Tuesday, a few hours after two previous teasers named Together and Survival. Aftermath appears to be taking place after a ferocious battle in a snowy, deserted Winterfell. As the camera pans through the ruins, it reveals two items that will no doubt capture viewers' attention: what appears to be Jaime Lannister's golden hand, and Jon Snow's distinctive Longclaw sword. Game of Thrones's eighth season is set to premiere on 14 April on HBO in the US. In the UK, the show will be available on Sky Atlantic and NOW TV. It will consist of six episodes, including an 80-minute finale. 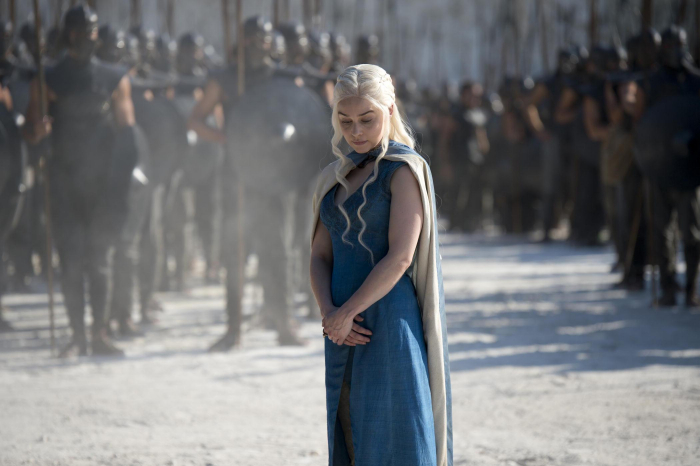 The third episode will the longest in the history of Game of Thrones, with a runtime of one hour and 22 minutes.